The main military function of the aircraft will be for assaults and supply support for the armed forces. A convertiplane developed by Russian Helicopters has made its maiden flight, unmanned. The prospective multi-purpose tilt-rotor UAV, with vertical take-off and landing, high-speed level flight and hovering capabilities, successfully passed its "trial by air". Oil and gas sector companies and other industries have shown an interest in this UAV. A hybrid between an airplane and a helicopter, the convertiplane, combines the best features of both. It would be indispensable in locations without a runway. The convertiplane would immediately detect a fire in a forest or urban area, and alert fire services straight away. The UAV could monitor oil pipelines and even deliver medication to people in remote regions, like the taiga. It can perform all these tasks without anyone on board. The convertiplane could also be used in future for military tasks, making it useful to the Defence Ministry. 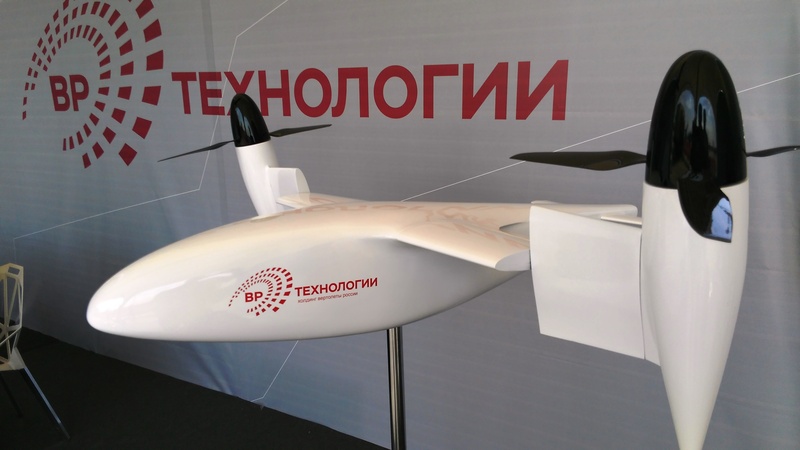 When Russian Helicopters demonstrated a model of the convertiplane at the MAKS 2015 Air Show in August 2015, Andrei Shibitov, Deputy CEO at the company, said the aircraft would have a hybrid power plant and be capable of speeds of up to 500 kph (300 mph). This is broadly comparable to those achieved by the Bell V-22 Osprey convertiplane, used by the U.S. Marine Corps and Navy. The main military function of the aircraft, say developers, will be for assaults and supply support for the armed forces. The convertiplane can also be used by the navy, as it can be ship-based. The development programme for the new Russian multi-mission convertiplane is still in its early stages, with only the technology demonstrator; a flying test bed weighing just 300 kg; produced so far. After successful testing, Shibitov explained, a flying test bed weighing up to 2 tonnes will be developed. The third stage of the work will be production of a complete version of the aircraft.